For the typical graph algorithms encountered most frequently in practice (such as those introduced in typical entry-level algorithms courses: graph searching/traversals, shortest paths problems, strongly connected components and minimum spanning trees) we want to consider practical non-sequential platforms such as the emergence of cost effective General-Purpose computation on Graphics Processing Units (GPGPU). In this paper we provide two simple design techniques that allow a nonspecialist computer scientist to harness the power of their GPUs as parallel compute devices. These two natural ideas are (a) using a host CPU script to synchronize a distributed view of a graph algorithm where each node of the input graph is associated with a unique processing thread ID and (b) using GPU atomic operations to synchronize a single kernel launch where a set of threads, upper-bounded by at most the number of streaming processing units available, continuously stay active and time-slice the total workload until the algorithm completes. We give concrete comparative implementations of both of these approaches for the simple problem of exploring a graph using breadth-first search. 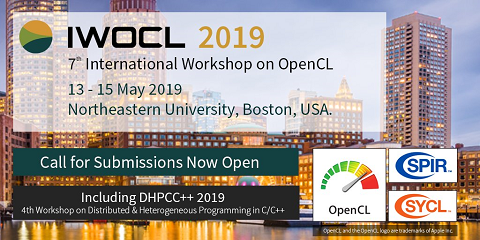 Finally we conclude that OpenCL, in addition to CUDA, is a natural tool for modern graph algorithm designers, especially those who are not experts of GPU hardware architecture, to develop real-world usable graph applications.